Queen of Someday is a YA historical fiction based on the life of young Catherine the Great. Fans of the hit TV show REIGN will devour this scandalous glimpse into the life of one of the most dynamic women in history. Before she can become the greatest empress in history, fifteen-year-old Sophie will have to survive her social-climbing mother's quest to put her on the throne of Russia-at any cost. Imperial Court holds dangers like nothing Sophie has ever faced before. In the heart of St. Petersburg, surviving means navigating the political, romantic, and religious demands of the bitter Empress Elizabeth and her handsome, but sadistic nephew, Peter. Determined to save her impoverished family-and herself-Sophie vows to do whatever is necessary to thrive in her new surroundings. But an attempt on her life and an unexpected attraction threatens to derail her plans. Alone in a new and dangerous world, learning who to trust and who to charm may mean the difference between becoming queen and being sent home in shame to marry her lecherous uncle. With traitors and murderers lurking around every corner, her very life hangs in the balance. 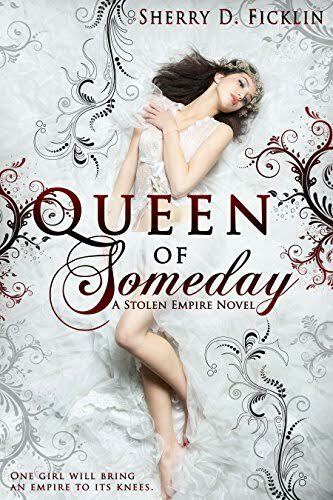 Betrothed to one man but falling in love with another, Sophie will need to decide how much she's willing to sacrifice in order to become the empress she is destined to be.